Sean Rafferty's guests include violinist Elena Urioste, pianist Pavel Kolesnikov and close-harmony group Cantabile - The London Quartet. 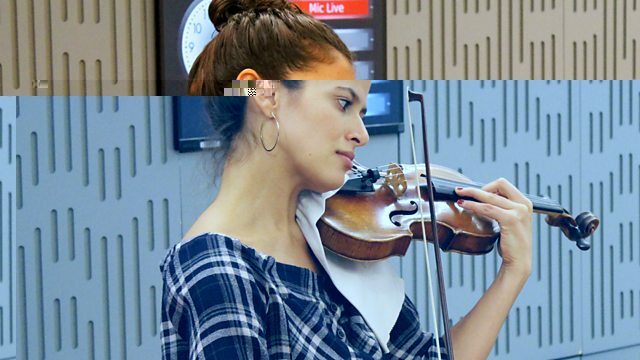 Sean Rafferty's guests include violinist Elena Urioste, who is launching a new music and yoga initiative in the new year, and pianist Pavel Kolesnikov, whose stint as a BBC Radio 3 New Generation Artist comes to an end imminently. Plus close-harmony group Cantabile - The London Quartet perform Christmassy numbers ahead of a series of gigs at Chelsea's The Pheasantry. Music Arranger: Philip Lane. Orchestra: BBC Concert Orchestra. Conductor: Barry Wordsworth. Performer: Clive Driskill-Smith. Ensemble: Oxford Baroque. Conductor: Stephen Darlington. Ensemble: Taverner Consort, Choir and Players. Conductor: Andrew Parrott. Performer: Alice Coote. Performer: The English Concert. Performer: Harry Bicket. Performer: Håkan Hardenberger. Performer: Reinhold Friedrich. Orchestra: I Musici. Choir: Cantabile: The London Quartet. Music Arranger: Nikolaus Newerkla. Ensemble: Quadriga Consort. Quadriga Consort - On a Cold Winter's Day. Performer: Chris Hartt. Choir: Cantabile: The London Quartet. Haydn: Cello concertos in C & D, Sinfonia Concertante. Ensemble: Collegium tubicense Ulm. Conductor: Simon Dach.